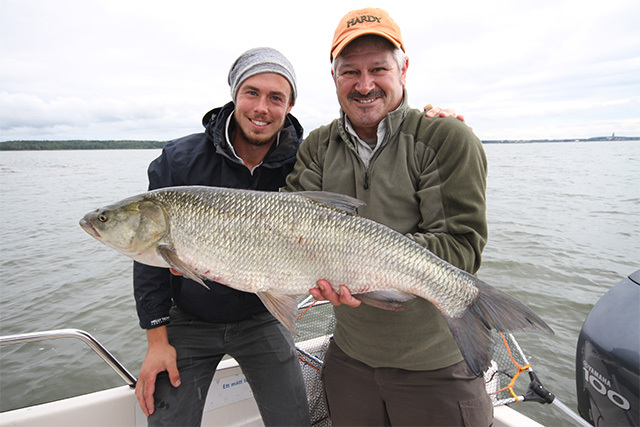 Sweden, Guided fishing for Asp, Pike, Perch and Zander. Fredrik is one of the countries top and most enthusiastic guides operating from an area around Mariestad in south central Sweden just over 2 hours drive east from Gothenburg. 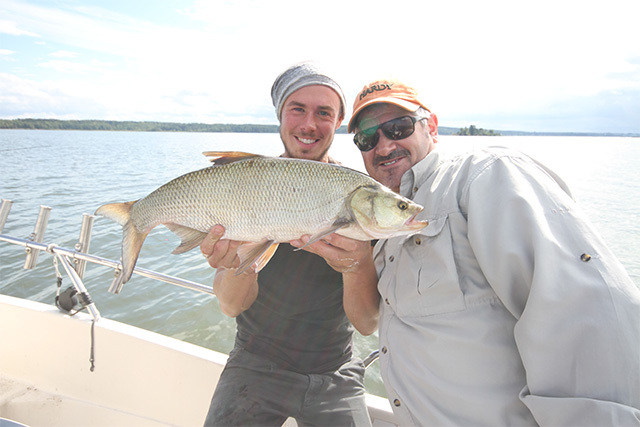 Clients stay in a choice of accommodation close to top waters that Fredrik knows well. A secluded log cabin catering for up to 4 clients providing high standards of personal comfort or we offer a friendly country inn with twin and single bedrooms. 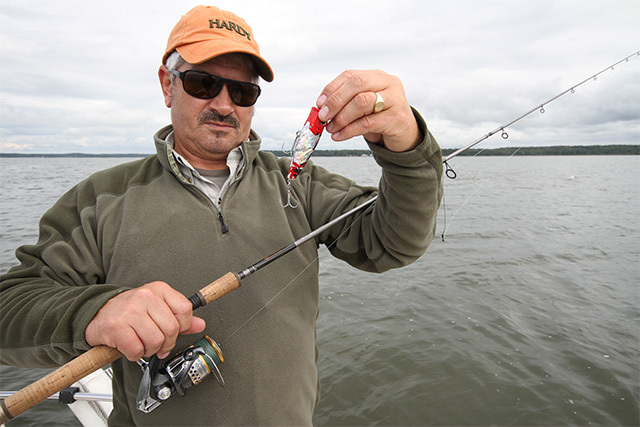 John Horsey experienced excellent top water lure fishing for Asp on a trip in late August fishing rocky reefs with Fredrik on vast Lake Vanern, Sweden’s largest lake. Asp are predators that work in groups targeting shoals of baitfish close to the surface. Asp move fast and fishing with a guide from a boat is the favoured way to target these hard fighting fish. Expect to catch asp in the 6 to 12 pound range. With frequent flights to Gothenburg and an easy drive to the fishing locations, short 3 day plus guided trips make for good value. June to September the perfect time of the year. This entry was posted in Sweden by anglersworldinfo. Bookmark the permalink.